Located along Italy's northern coast, in the charming lakefront town of Gargnano, the Lefay Resort & SPA Lago di Garda sits on 27 acres of lush parkland, surrounded by rolling hills, vast woods, and fruitful olive trees and lemon groves. 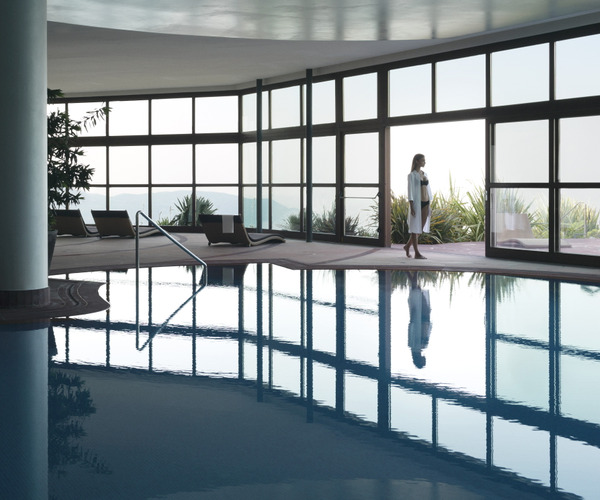 Inspired by the concept of overall wellness, Lefay was designed and built using environmentally friendly practices, and the resort offers ample opportunities for guests to invigorate and rejuvenate in the beauty of its natural landscape. The spa is the centerpiece of the resort, and is divided into three areas: Acqua e Fuoco, Natura e Fitness, and Nel Silenzio e fra le Stelle: Trilogia nell'Aria, which comprise hydrotherapy and heat treatment areas, a full-service fitness center, and outdoor wellness paths and gardens. With the scenic Lake Garda as its backdrop, Lefay's 93 guest accommodations offer water views, and guests can dine on healthful, Mediterranean cuisine at the two on-site restaurants. Spa treatments at Lefay SPA blend classical Chinese medicine with western scientific research, aimed at rejuvenating guests' energy. The 3,800-square-meter SPA features 21 treatment rooms, including two private dual suites, six different types of sauna--steam bath, bio, aromatic, Finnish, and women's sauna--and three relaxation areas, including a veranda overlooking lake views. The spa's hydrotherapy area comprises a whirlpool, Kneipp path, ice fountain, saltwater swimming pools, and a salt-water lake rich in Dead Sea salt. SPA interiors mix modern decor with Asian-inspired accents. Complementing the resort's eco-conscious commitment, all decorative materials are natural and sustainable. The extensive menu of services includes massage, facials, thalassotherapy rituals, and beauty treatments such as waxing, makeup applications, and hair styling. The all-natural Parfumes of the Lake treatment collection is also available, as is a selection of three-day to week-long programs designed for anti-aging, stress management, energy, beauty, sports, postural, and slimming. The fitness center, part of the spa complex, features TechnoGym equipment and an exercise room, where qi gong, yoga, Pilates, aerobics, and Fitball classes are held. Personal training is also available. Fitness fans may also enjoy the resort's outdoor "wellness paths," situated throughout the four-acre property. Paths include a 2.5-kilometer running circuit that winds throughout gentle hills and woodland and a fitness trail with 12 exercise stations, while an energy and therapeutic garden provides a place to meditate and be immersed in nature's beauty. Quiet moments can also be spent reading or playing board games in La Sala Caminetto. The resort's aquatic playground includes indoor and outdoor saltwater swimming pools and a 24-meter outdoor pool. Sports enthusiasts can enjoy year-round recreational activities in the surrounding area, including golf, tennis, water, and winter pursuits. Interiors of the 93 suites mimic the beauty of Lefay Resort's natural surroundings, styled with eco-friendly fabrics, olive tree and Italian walnut woods, and touches of Italian marble. 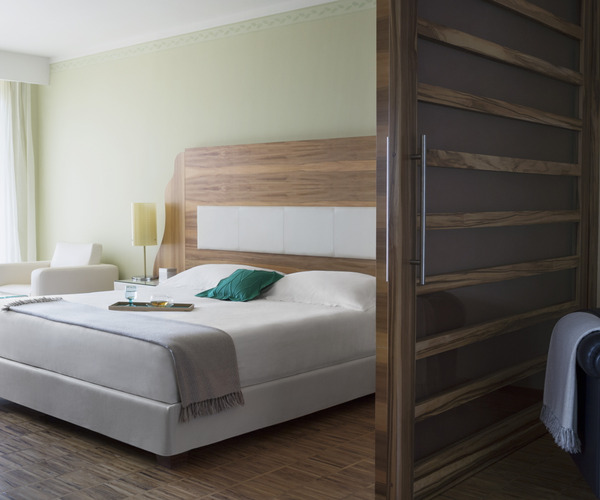 Appointments include a terrace or balcony overlooking Lake Garda, and rooms are accessorized with ADSL connection, mini bars, in-room safes, and satellite TVs. Exclusive Suites feature Italian furnishings and marble bathrooms with private Jacuzzis; for those traveling with the little ones, the two-bedroom Family Suites are a good choice. .Lefay's dining establishments take a healthful, innovative approach to traditional Mediterranean dishes. Menus at the two on-site restaurants, La Grande Limonaia and La Vigna, showcase dishes prepared with seasonal ingredients and local produce, and meals can be enjoyed in lovely, unique settings such as the resort's lemon orchard or amid vine pergolas. After dinner, guests can sip cocktails while listening to live piano at the resort's bar, which looks out onto Lake Garda.